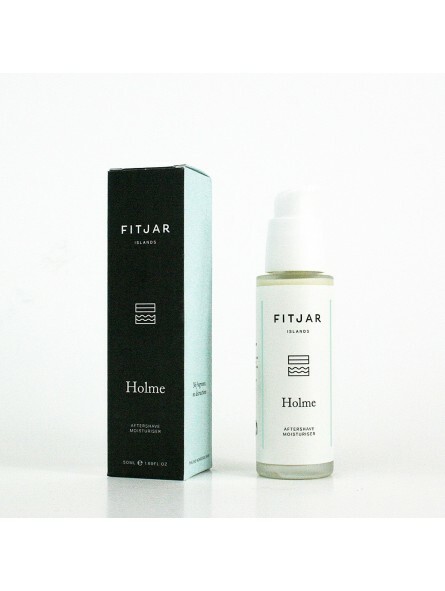 Fitjar Holme Moisturising After Shave 50ml. Holme is the name of a minuscule Norwegian island, so small that it is almost invisible. This is where the name of our neutrally scented range comes from. It only has the wholesome natural aroma of its raw ingredients: honey and a whiff of gentle herbal notes. No fragrance, no distractions. A weightless everyday moisturising lotion to sooth and hydrate after shaving, whether you use an electric razor or wet shave. 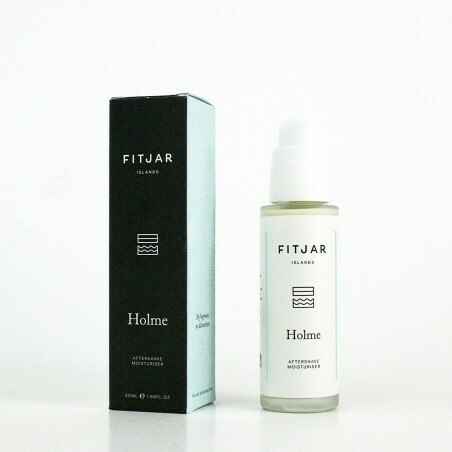 With heather honey from Fitjar and chamomile extract. The emollient effect of honey is perfect for restoring the natural balance of your skin. Ideal for normal to combination skin types. Crystal bottle with a dosing pump that provides optimum efficiency of the product.